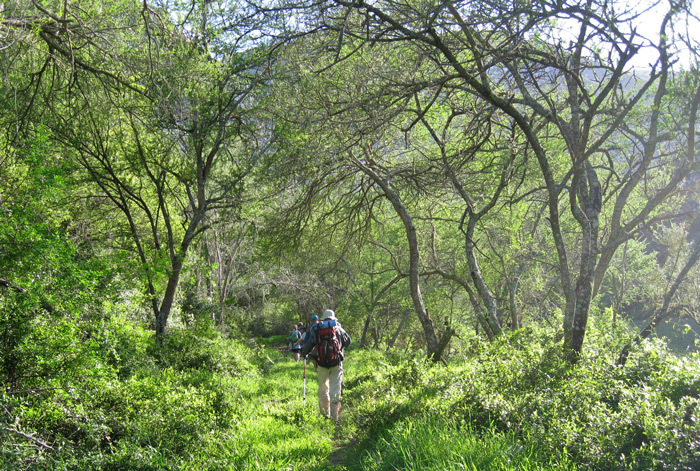 I’ve been hearing that corridors are the sexiest thing in conservation ever since I did the first Eden to Addo (E2A) Megahike in August 2006. 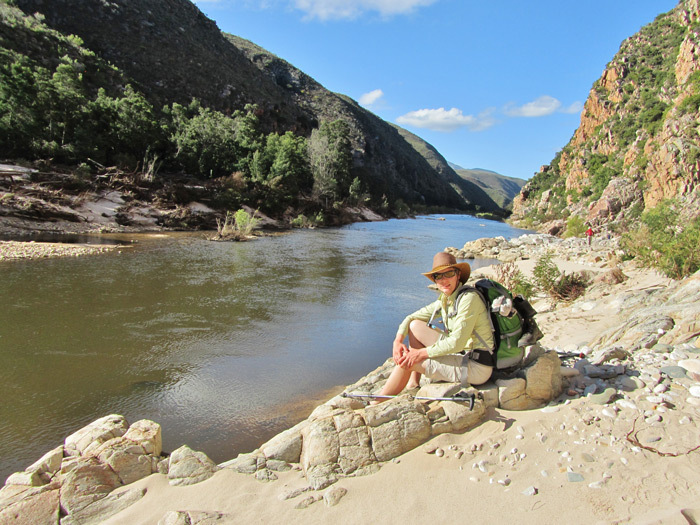 So, 10 years on, I wondered how successful Joan Berning’s vision of a corridor that links three of South Africa’s finest biodiversity treasures – Garden Route National Park, Baviaanskloof World Heritage Site and Greater Addo Elephant National Park – has been. Much of South Africa’s biodiversity is preserved in pockets. The problem is that, if left to their own devices, conservation islands die. They cannot sustain themselves. Corridors are proving to be an effective way of maintaining biodiversity by helping natural balances do what they do best. Instead of intensively managing an ecosystem, which is costly, corridors allow natural managers such as watercourses, insects and megafauna to do the work for them. 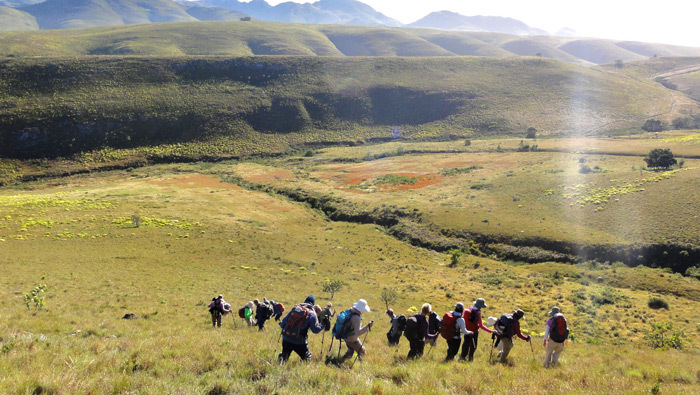 Working closely with Cape Nature, SANParks and the Eastern Cape Parks and Tourism Agency, and collaborating with local landowners, E2A is slowly building a success story of which South Africa should take note. Private landowners in the corridor area are approached to sensitise them as to how they can contribute to sustainable land management. Each case is different as individual landowners have different requirements. Nevertheless, the benefits of conserving biodiversity are enjoyed by all South Africans. Drought, brought on by climate change, is a worsening reality for all of us. The establishment of corridors, especially river corridors, goes a long way to mitigating these problems. 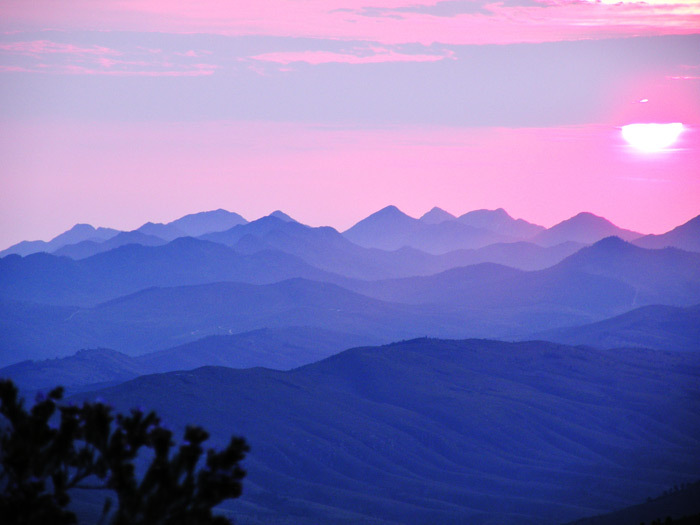 Once a landowner declares his interest in conserving his land, E2A steps in. Firstly, the value of the biodiversity on the land is determined, then E2A notifies the relevant Member of the Executive Council (MEC) of the province with the intention to declare a portion or all of the land a protected environment or a nature reserve, dependent on the value of the biodiversity. After consulting all the neighbours and affected parties, and on the condition that there are no objections, the MEC gazettes the protected area or nature reserve. The area is then afforded protection, which is written into the title deeds of the property for an initial period of 30 years for a protected environment and 99 years for a nature reserve. If at any time during the initial period the landowner wishes to revoke his commitment, then he is liable for the fees that have been incurred. After receiving protected area/nature reserve status, the landowner agrees to manage the area according to a management plan drawn up by E2A in consultation with the landowner. This is audited every two years by E2A and/or the local conservation authority. The management plan is designed in such a way that the goals are easily achievable. Since 2006 E2A has helped a total of 48, 500 hectares achieve conservation status. 40,895 hectares have been declared a protected environment by the landowner, and a further 7,600 hectares proclaimed as nature reserve. E2A is half way to achieving its vision to link the three mega reserves. 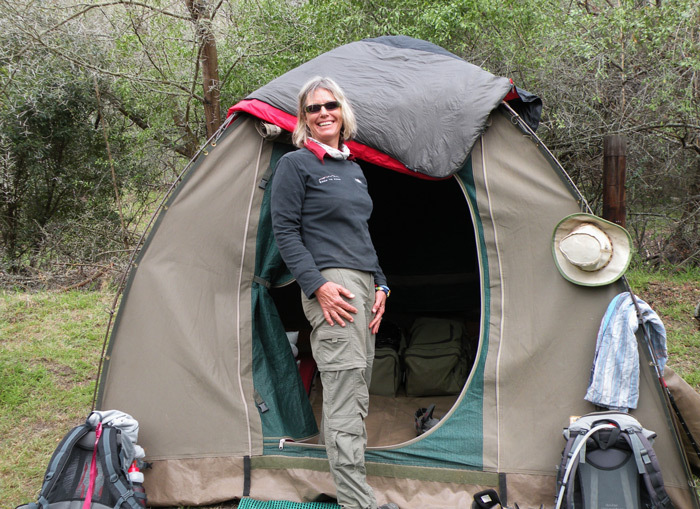 In the next five years it hopes to link the eastern section of the Garden Route National Park to the western section and close the gaps where they still exist. Management plans and the process of achieving protected status is expensive. E2A has had to be imaginative in obtaining the funds to keep going. 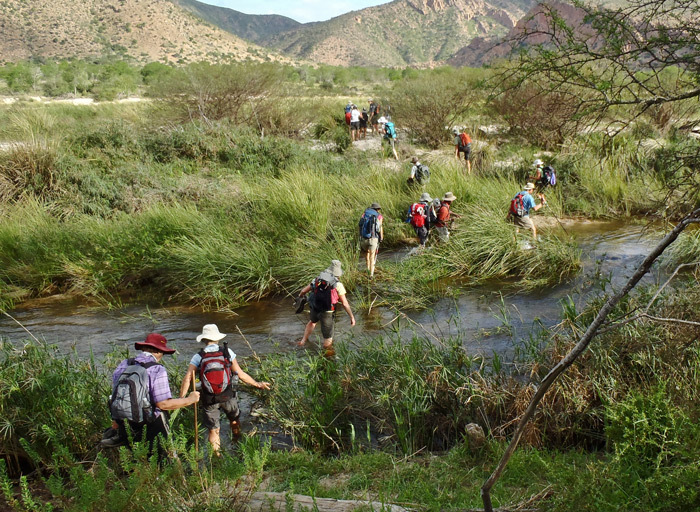 The 400km E2A Great Corridor Hike has become so popular that it is almost booked up a year in advance. E2A Talks and Trails provides a shorter, less strenuous, option to experience parts of the corridor. Experiences such as these not only bring in needed revenue but also expose participants to the benefits of the corridor and the work the organisation does. 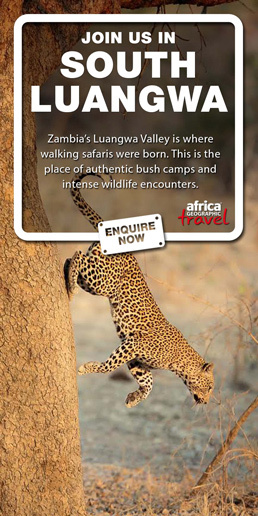 It’s a prime example of collaboration between conservation and tourism. In some cases E2A has also raised the funds to clear the river courses of alien vegetation – an advantage not only to the landowner but also to the communities that the river services. 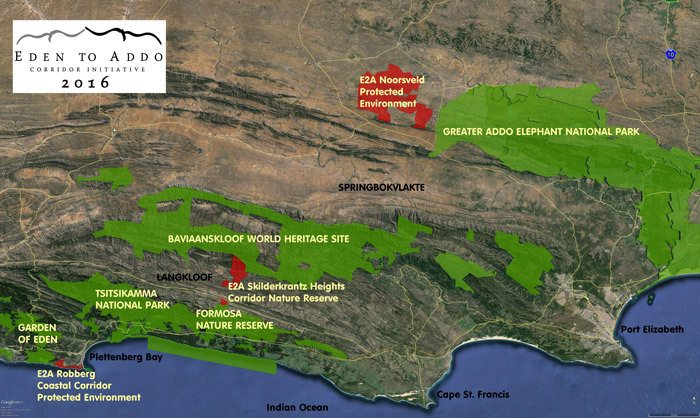 “Many rivers in the Eden to Addo area are critically endangered,” says Berning. Other external funders include the Table Mountain Fund, Hans Hoheisen Charitable Trust and several private donors. 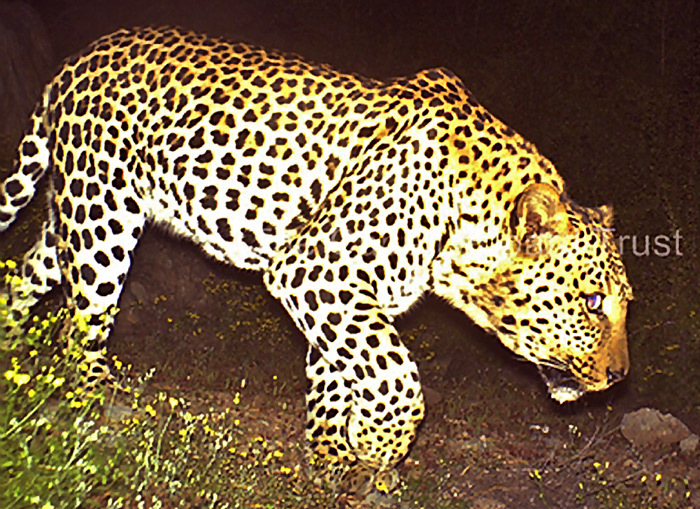 The greatest challenge that conservation corridors face are game fences. While ordinary livestock fencing permits the migration of smaller animals, game fencing prohibits all animals, thereby denying adjacent land the ecosystem benefits of naturally mobile fauna, for example, seed and dung dispersal and soil turnover. “Corridors of the mind are as important as corridors of the land,” says Berning. With so much having been achieved in the past ten years, and with the vision well on its way to being realised, it would appear that the gates to the mental corridors are unlocking.